Take a look at “ Opportunity!” If you’ve always admired the custom homes of Willow Ridge Estates this is a rare opportunity. Loaded w/outstanding features indicative of fine homes. Architecturally stunning features include a 2-story family room – open to kitchen – with floor-to-ceiling window wall. Gentleman’s den is richly paneled + wall-to-wall built-ins. Sunroom, formal dining, living room, 2 FP, & generous kitchen create an easy-living floor plan. Upper level has Master plus 3 additional bedrooms – all with baths. 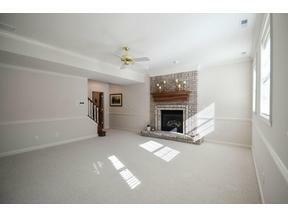 Daylight basement includes wet bar, wine bar, FP, & many play areas. Lots of storage, or room to expand living areas. Beautiful private lot has .81 AC w/mature trees & plenty of room for your backyard vision.